I’m sat in a warm room full of balloons, Wotsits, token vegetable sticks with ketchup and 30 kids watching an entertainer. My weekends have become a mix of late night gigs, early morning wake up calls, in the form of being two footed in the chest through a duvet by excited sons, and kids birthday parties. Blurry eyed and tinnitus at maximum annoyance, I venture through the swathe of children to find a quiet spot to sit and contemplate my existence! It’s at these moments I try to avoid the pitfalls of slipping into my own spiralling thoughts and just observe. A 60 year old man pulls a coin from behind my sons ear and his eyes light up with amazement. It’s easy to shrug off this lame trick but instead I try it at home and get the same reaction. Isn’t it nice to remember those times when the world was a magical place? To believe that a fairy will replace a bloody tooth with a shiny coin, that pixies live at the bottom of the garden and the Easter Bunny actively encourages you to gorge yourself on chocolate? I used to think that music was magic. How did Hendrix get his guitar to scream? How could Coltrane play so fast and what on earth was he playing? How could Jeff Buckley sing so angelically? 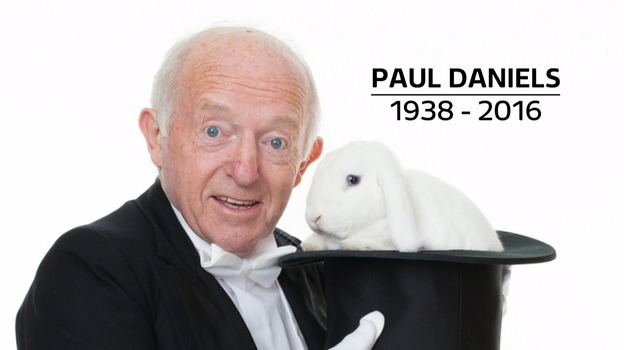 A realisation was made in the same way when I opened up my Paul Daniels Magic Set as a young boy. These were all tricks that could be learned and mastered. In a way, I was saddened by the reality, but also excited by the prospect of learning how to perform these acts of wizardry. When studying music, the tricks slowly reveal themselves and with practice you too can master them. When I discovered that scales weren’t just horrible exercises that teachers were expecting me to learn, but gateways to sounds I already knew, it was a breath of fresh air. I hated being told that I needed to learn scales from the root up two octaves and back down, but when I discovered the blues scale, the Dorian, the bebop, the Lydian etc. it allowed me to explore, improvise and ultimately work out what my heroes were playing. However, as with the coin behind the ear trick, it’s easy to disregard as corny or ‘done before’. The magic dissipates because the analysis of the trick shows how easy it is. You can become bitter and negative as you analyse every move of the performer and work out what he or she is doing. You can end up longing for more complicated tricks to detect and fulfil your desire to take control of the situation. Or you can’t muster the enthusiasm to listen and work it all out. Some people just don’t feel comfortable when they don’t know what’s going on. Is this the case with jazz? Regardless, in my opinion, if you look beyond the trick, the magic comes back! The magic is the realisation that the performance is in real time….just for you. Yes, it’s a trick but the delivery has passion and the choices the performer makes are inspired. You are being entertained and that is a gift you should receive with gratitude. That 60 year old man made my son’s day by making him question what is real and show him that the impossible might actually be possible! In summary, in the quest for learning all the tricks, don’t forget that you can deliver a performance which is so much more. Don’t discount the simple, corny and overused. Don’t run through the motions believing that everyone in the audience is cynical and judging your every move, there may just be a few people in the audience that still believe in magic. I had to Google that one Mike! Do you mean this? Yes, the loving spoonful. They have two tracks on my motorway playlist. Do you Believe in Magic and Summer in the City. Although I do prefer the Joe Cocker version. I don’t always listen to jazz, I can sometimes over jazz myself so I welcomed the challenge. Summer in the City by Joe Cocker is great.